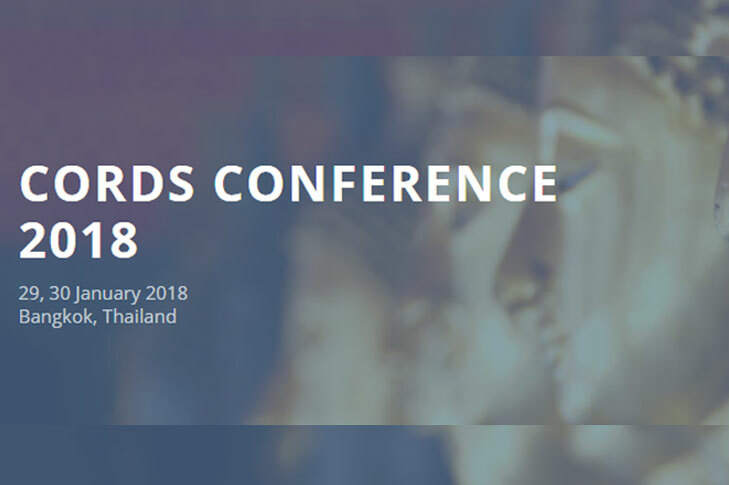 I am delighted to welcome you to the website for our CORDS 2018 Conference which will take place in Bangkok Thailand, on the 29th and 30th January 2018, in collaboration with our six networks: the Asian Network (APEIR), the East African Network (EAIDSNet), the Mekong Basin Network (MBDS), the Middle East Consortium (MECIDS), the Southern African Network (SACIDS) and the South East European Network (SECID). The conference will be co-organized and mainly supported by Ending Pandemics (formerly the Skoll Global Threats Fund) and The Rockefeller Foundation. The CORDS Conference will be a side event of the Prince Mahidol Award Conference (PMAC). It will be under the PMAC sub-theme: ‘Harnessing the Power of Public-Private-Community Partnerships for Preventing, Detecting, and Responding to Zoonotic Diseases and Antimicrobial Resistance. Participants can look forward to panel discussions on topics such as ‘Innovating in surveillance using a digital approach’, ‘Making One Health surveillance work’ and ‘Addressing antimicrobial resistance using the One Health Approach’. Internationally renowned experts are expected to deliver introductory lectures, including Pr. Larry Brilliant, Chairman of the Board of Ending Pandemics (formerly the Skoll Global Threats Fund), San Francisco, USA, Dr. Michael Myers, manager director at The Rockefeller Foundation, New York City, USA. Dr. John Nkengasong, director of the Africa Centres for Disease Control and Prevention, Addis Abeba, Ethiopia, and Pr. Albert Osterhaus, of the Erasmus University Rotterdam, the Netherlands. Following a call for abstracts to all six networks, 43 abstracts were accepted for oral and poster presentations. Please visit CORDS for more details.